Larry Clark, born in 1943, an American photographer, film director and writer, documented his life and the lives of his friends and their drug use between 1963 and 1971. The culmination of this series of photographs was a book, “Tulsa,” published in 1971, and these images are now on display at Drexel University. Project SAFE volunteers Nicole Fox and Jen Bowles recently spoke at an event at Drexel University with Professor Stephen E. Lankenau, illuminating the realities of injection drug use, especially among young people, in the context of prohibition and stigma. Data shows that since these photographs were taken, opioid misuse has risen significantly, and overdose is now the number one cause of accidental death in the United States.”We are not just fighting laws, but fighting an entire consciousness and ethos that casts drug users into the shadows,” said Jen Bowles. The event was attended by several SAFE volunteers (pictured above). 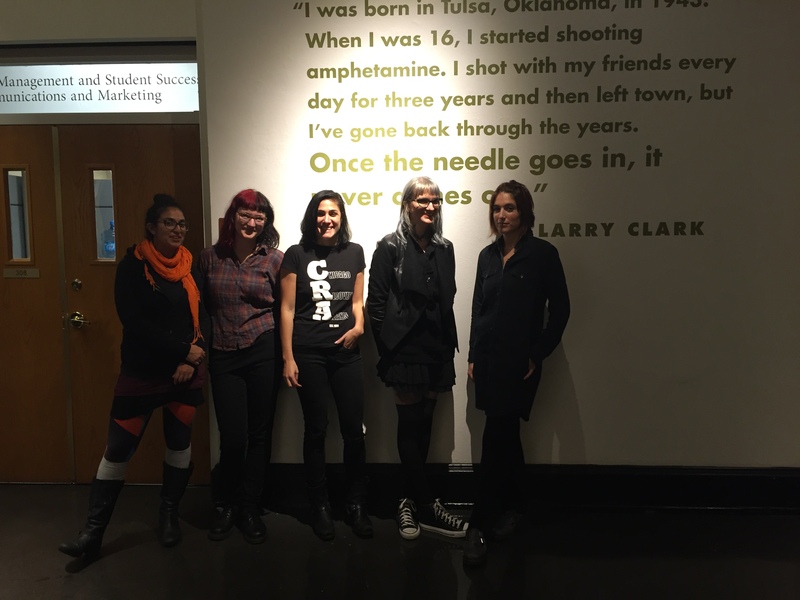 Awareness: Larry Clark’s Tulsa Series will be on display thorough November 13. Learn more here. Previous postProject SAFE Information + Training Session Saturday, 11/14! Next postDo People who Use Drugs have the “Mental Capability” for Life Saving HCV Treatment?